With its encouraging message, this picture book will appeal to young pet lovers. 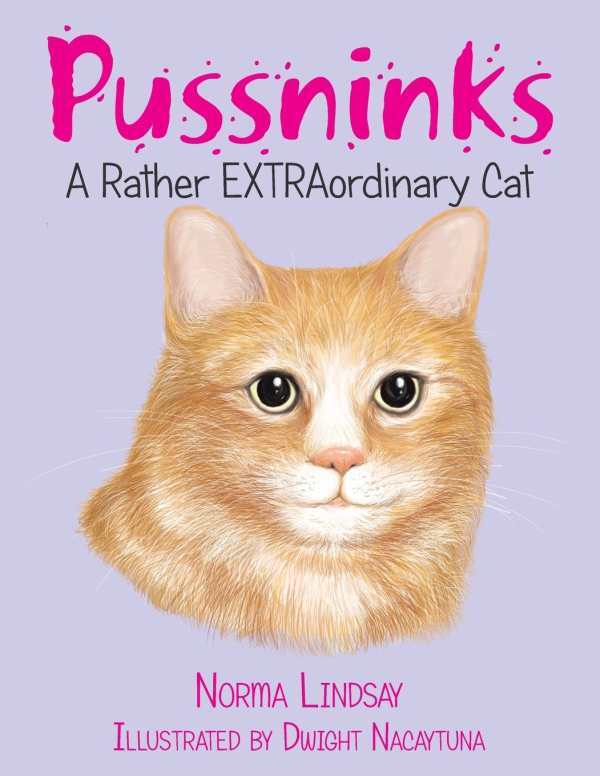 Norma Lindsay’s inspiring picture book Pussninks draws inspiration from a real-life three-legged cat; he may have a handicap, but that doesn’t stop him from doing anything and everything that a four-legged cat would do. Whether he’s scampering to wait for the postman, beating another cat, Bunty, to a mouse, or stealing fresh fish, Pussninks is active. He easily outsmarts the other pets in the house—not to mention his humans, who look upon his antics with admiration. And at the end of the day, he curls up on Granny’s knee, wiped out from all his busy activities. Lindsay writes each of Pussninks’s escapades in a rhythmic four-line stanza, followed by a one-line result. This routine, along with the clean font, makes the book ideal for younger readers, though some of the rhymes do not work as well when read aloud. Pussninks’s story is engaging and relatable for youngsters whose own pets get into mischief. After just a few pages, the fact that Pussninks only has three legs stops seeming to matter. The text repeatedly reiterates that Pussninks is no different from any other feline. Dwight Nacaytuna’s colorful full-page illustrations perfectly pair with the text. Shadowed paw prints and photographs of the real Pussninks and Bunty add fun and realistic elements. With its message that its cat is just like any other, Pussninks encourages its audience to see past differences and work with handicaps.